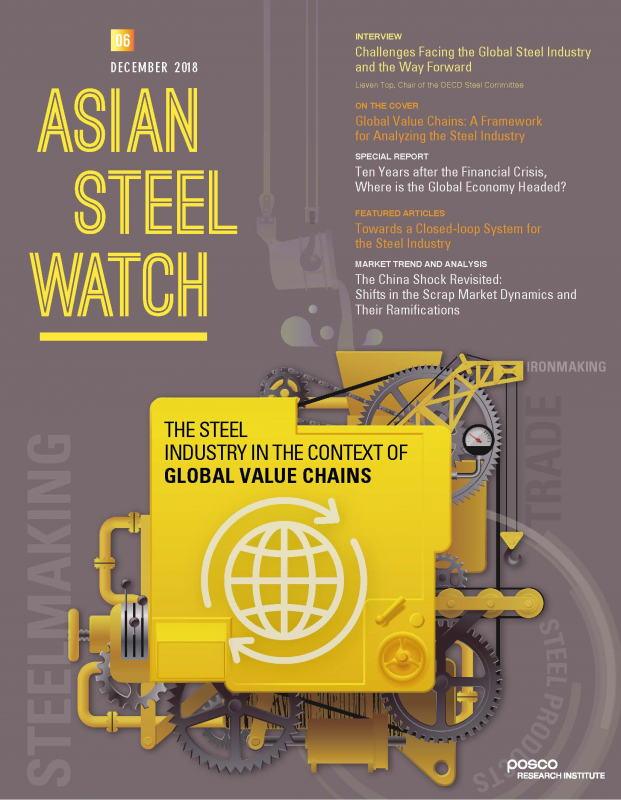 POSCO Research Institute (POSRI) released the 6th issue of Asian Steel Watch (ASW) in December 2018. This bi-annual English Journal specializes in the Asain steel industry and market. The feature stories of the ASW December issue include closed-loop system for the steel industry as well as steel industry policies under China’s Xi Jinping administration.